The holiday season is quickly approaching and there is no better time to start your holiday shopping. Holiday gifts of jewelry are not just appropriate for women, but men also. Jewelry is a wonderful gift idea because it can be enjoyed all year round and will not lose its usefulness after the holiday season has ended. One of our top sellers each year is the monogram signet ring. For men, there are many different kinds of jewelry and accessories that you can give. The most personal and perhaps the most beloved gift is that of a men signet ring. A monogram signet ring can be engraved with one, two, or even three initials in a variety of ways. 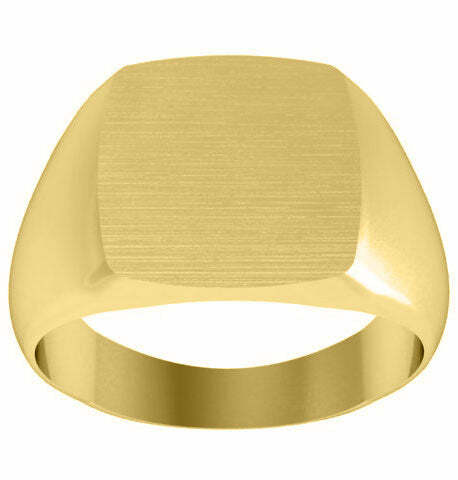 There is computerized engraving, laser engraving, and hand-engraving options available for all of our signet rings. The holiday season is a special time to spend with your friends and family. Give them a gift that they can enjoy all year round.